Integrated Biometric Access Control, Workforce Management, Online Induction and Wireless Fire Alarms. For site level operators; such as project managers and quantity surveyors, Biosite provides integrated biometric access control, time and attendance, accreditation management, online induction and wireless fire alarms. Ensuring safe, secure and efficient construction sites. Use Biosite across multiple sites to unleash its full value. For corporate managers and directors looking to improve efficiencies and have a global view of projects and data, Biosite will ensure compliance with your obligations whilst improving productivity and reducing the cost of your project. 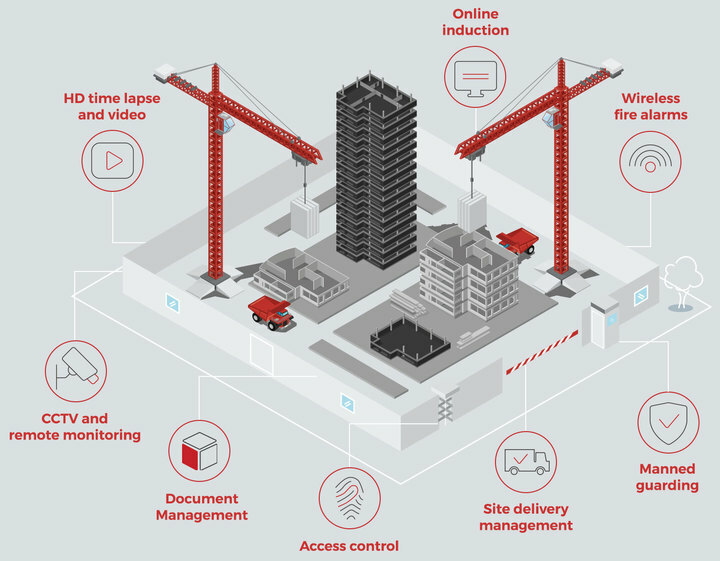 Around 1000 construction sites have already benefited from Biosite's biometric Access Control & Workforce Management, Wireless Fire Alarms and other integrated solutions.